Not often do we find a novel that uses "A Novel" as its subtitle. Then again, not often do we find a Lutheran pastor who actually writes a novel — so maybe the signpost is needed. Of course, when we discover that a pastor — or anyone with strong religious convictions — has written a work of fantasy or fiction, we do well to investigate. After all, for every engaging, well-written, piece of Christian fiction (e.g., The Year of the Warrior by Lars Walker) there are probably hundreds (thousands?) of moralistic, wooden, heavy-handed, or otherwise defective offerings (see William Young's The Shack for a prime bad example). And even if crafted artfully, many works espouse theologies that are barely (if at all) recognizable as Christian. 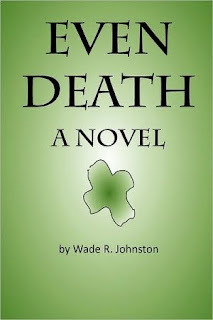 Considering all the potential pitfalls, first time novelist Wade R. Johnston more than meets the minimum requirements with Even Death. Johnston certainly allows his readers opportunity to anticipate his characters' actions and responses. Yet paired with a certain inevitability, we discover surprising nuances as the crucible into which he places his protagonists reveals their characters and their relationships with each other and the Lord. 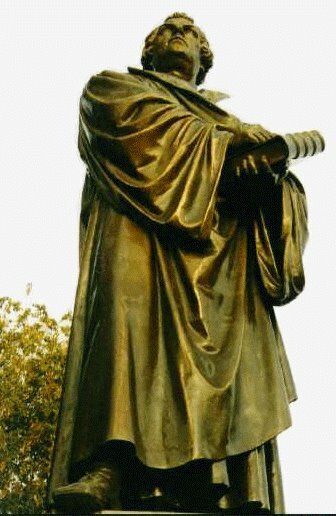 I don't want to reveal too much, so here is a summary provided by author-publisher Johnston: As Isaac Heinrich and three fellow American Lutheran pastors embark on a tour of Reformation sights in Germany they are thrust onto a journey of faith far beyond anything they had imagined when they become unwilling participants in a jihadist ploy and are held captive by a painful decision between life and death, their faith and their future. At first glance, you might wonder what "practical Christianity" you might glean from a novel that pits Arab terrorists against Lutheran pastors. Once you've finished Even Death, you'll likely have a keener perspective on the Theology of the Cross and greater appreciation for the strong faith God grants to His martyrs from Bible times to present day. In the triumphs and failings of the four pastors, their tormentors, and their would-be rescuers, Johnston illustrates both our need for the true God and the problems we cause when we try to accept Him according to our own terms rather than His. I have only two small complaints. First, Even Death seemed to start a bit slowly, although I'll admit that my patience was rewarded. Second, as I was running out of pages, I wished that it could have been a bit longer, so I could better know the hearts and minds of each of the American pastors, their Arab persecutors, and the German special agents. That's because while the plot certainly propels the book, it's nothing without its characters. I recommend Even Death to adults and mature teens. It's of particular value to those struggling to find relevance for faith in our secular age and for those confronted by evil happening to God's people. Pretty Interesting and unique concept! Thanks for your review and recommendations. I appreciate your blog.